Pothys Latest Dresses Online: A girl’s best friend- Kurti! A girl’s best friend- Kurti! It’s completely justified in saying that a girl’s best friend are Kurtis. Nowadays Kurtis that are sought after by almost every woman in the country. Have you wondered why everybody is going gaga over Kurtis? Kurtis are known for being comfortable and affordable which makes them the obvious choice for office wear and casual outings. A characteristic of Kurtis that we often tend to overlook is its versatility. Kurtis are probably one of the most versatile garments in the market. There are so many types and designs that can catch the fancy of many women. Kurtis can be classified into different types based on various designs, silhouettes and the materials used. There is the simple A-line Kurti that can be worn casually for day to day activities. There is Anarkali and Angrakha type Kurtis that are perfect to wear to a temple or any other traditional event. On the other hand, we have Tail cut and Trail cut Kurtis that are very trendy and falls in the Indo western category. The Long Straight Kurti is one of a kind as it emanates sophistication and suave when paired with Leggings. Kaftan inspired Kurtis have become the next hot thing among young women. 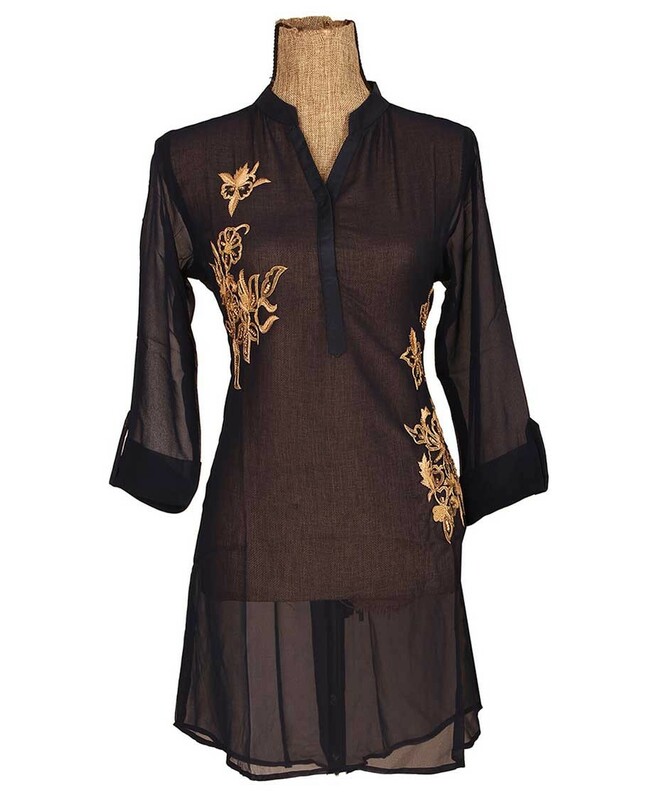 These Kaftan Kurtis are casual and stylish which makes it suitable to wear to a party, the beach or a cinema. Tulip Kurtis and asymmetrical Kurtis are being worn by women without a bottom which makes them look like an expensive dress. These Kurtis fall under the category of Party wear. And of course, there are these go-to princess cut Kurtis made out of cotton that are the epitome of comfort. Another advantage of Kurtis is that we can wear a kurta with leggings, Patiala, jeans or a stylish Palazzo pants and keep reinventing them. This way, nobody can point out that you are wearing that particular Kurti for the second time. Kurtis are an amazing choice for a modern woman as they are modest, nominal, comfortable and also stylish. Buy Kurtis for women online at Pothys and be enamoured by the spectacular range of designs and styles they have to offer.